Darjeeling: The Supreme Court has stayed the Madan Tamang murder trial after the CBI said it would challenge a Calcutta court order discharging Gorkha Janmukti Morcha chief Bimal Gurung in the case. "The CBI counsel submitted that it intends to challenge Bimal Gurung's discharge," Amar Lama, brother of Madan and a lawyer who is pursuing the case, said. The stay by a Supreme Court bench of Justices Kurian Joseph came on a plea by Tamang's widow Bharati seeking reinvestigation of the 2010 case and cancellation of the bail to 22 of the 47 accused. Bharati had also alleged that the chargesheet had been filed without complete evidence. Gurung had been discharged by the trial court in Calcutta in August this year. Those out on bail include Gurung's wife Asha and other Morcha leaders Roshan Giri and Binay Tamang, Jana Andolan Party president Harka Bahadur Chhetri and Trinamul leader Pradeep Pradhan. #Bharati has also moved Calcutta High Court against the discharge. "Our petition challenging Gurung's discharge will come up for hearing on January 9, 2018," said Lama, the brother of the slain leader. Discharging Gurung, the sessions court had observed that the CBI had failed to provide enough evidence. The order, which had come in the middle of the 104-day shutdown in the hills, had proved a major relief for Gurung. Madan, the Akhil Bharatiya Gorkha League leader, was hacked to death on May 21, 2010, before a rally. 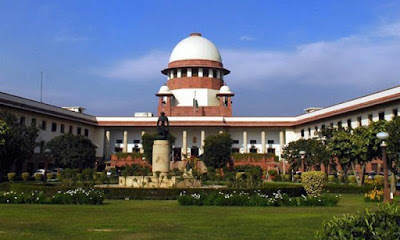 The Supreme Court has stayed the Madan Tamang murder trial after the CBI said it would challenge a Calcutta court order discharging Gorkha Janmukti Morcha chief Bimal Gurung in the case.